Blue Reef v Newquay, Anglie: Zarezervujte nyní! Choose Blue Reef for your enjoyable stay. Whether you are couple, solo traveller, business traveller, family with children or big group of friends, you can find a room type to suit you. Also we have a cafe with a lounge area to socialise and chill. You can use bedrooms, a toilet and a shower, cafe bar and also a recreation area. In our OMG Cafe you can also receive a complimentary tea or coffee, but also order a full-English breakfast. We treat our guests as our friends, and are always there for you and any enquiry will be answered happily. 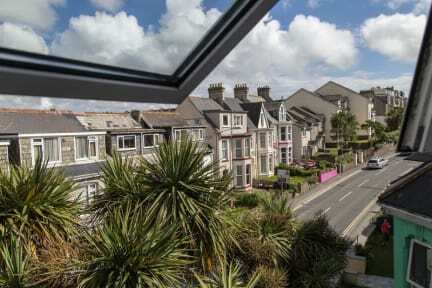 We are located centrally in the heart of Newquay, Cornwall with beaches only a short walk away. Also at your disposal there is a set of supermarkets, cafe and bars.We are located near railway station. Our lodge Blue Reef is a three storey property that has undergone a recent refurbishment and has double, twin or dormitory-style rooms with bunk beds that take up to 9 people. 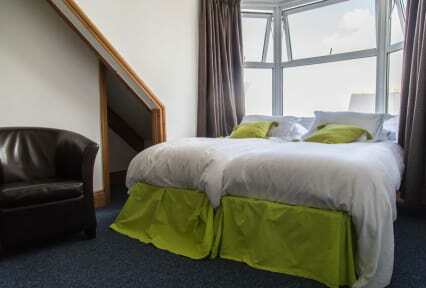 Most of our rooms have en-suite facilities, have beds with orthopaedic mattresses and have free wi-fi throughout and strict non-smoking policy. Breakfast not included - 3.00 GBP per person per day.